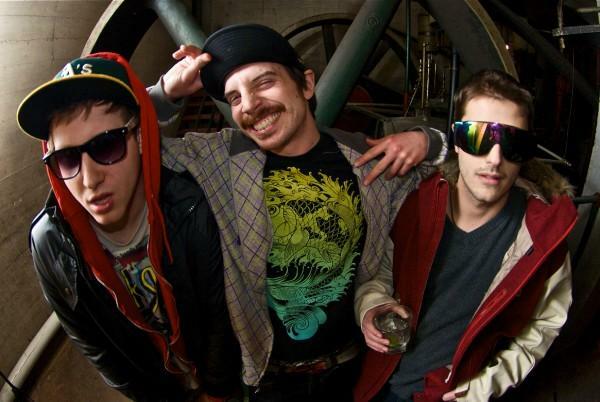 dirty disco kidz | True Endeavors Presents: music, tours, tickets, mp3 downloads, concert pictures, videos, Madison WI. Tickets available at the Orpheum box office and online. Don’t get all dressed up with nowhere to go this New Year’s Eve! You don’t have to be rolling in the dough to be able to celebrate 2011 in style. 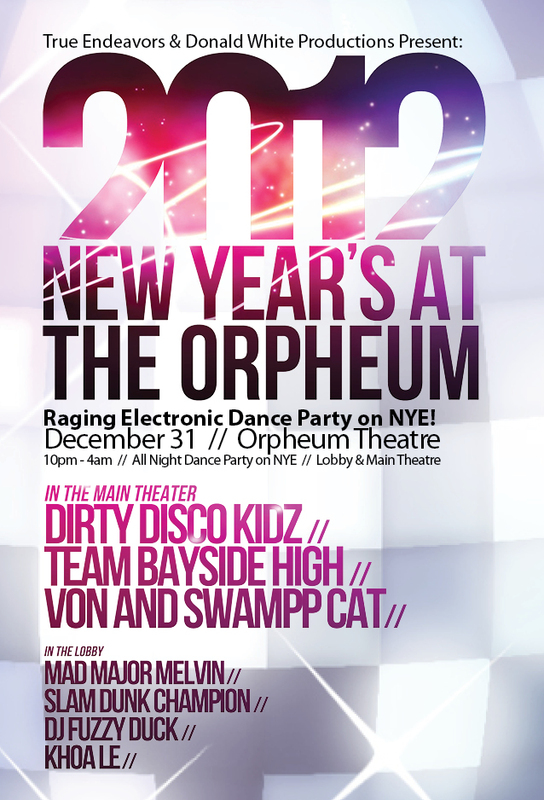 A $15 ticket to our Dirty ‘N Nice New Year’s Eve Party at the Orpheum includes everything you need for a great time: glow sticks, champagne toast, free breakfast in the morning, and, of course, uber fun tunes that’ll have you shakin’ your booty all night long. 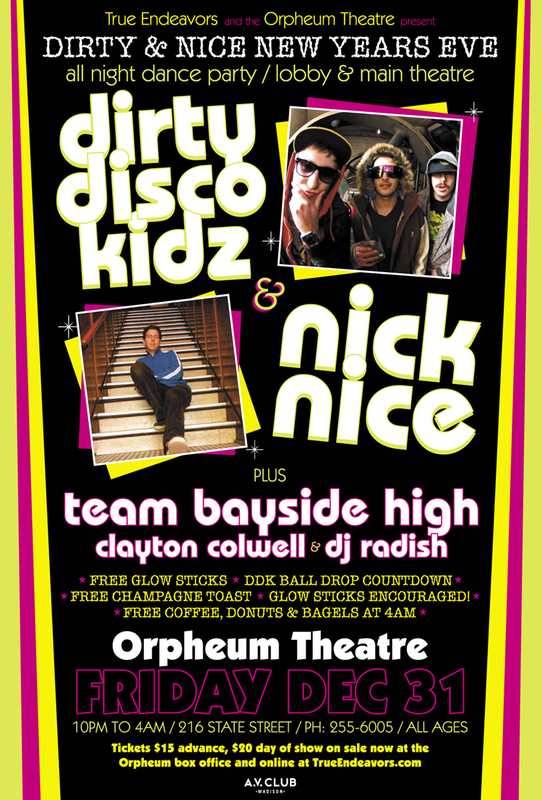 Get your tickets to see Dirty Disco Kidz, Nick Nice, Team Bayside High, Clayton Colwell and DJ Radish do their thing as Madison welcomes the new year like a pack of feral party animals. Tickets: $15 adv, $20 dos Buy tickets now at the Orpheum Box Office or online here. VIP Opera Boxes include: A line Pass (you and your friends don’t have to wait in line outside), 10-12 people per box, your choice of two bottles of top shelf liquor (Jack, Absolute, Patron, etc), free glow sticks, your own personal waitress, and one security guard to protect your box! Don’t let your friends miss the chance to be a VIP! Call 262.745.2647 to inquire about boxes. 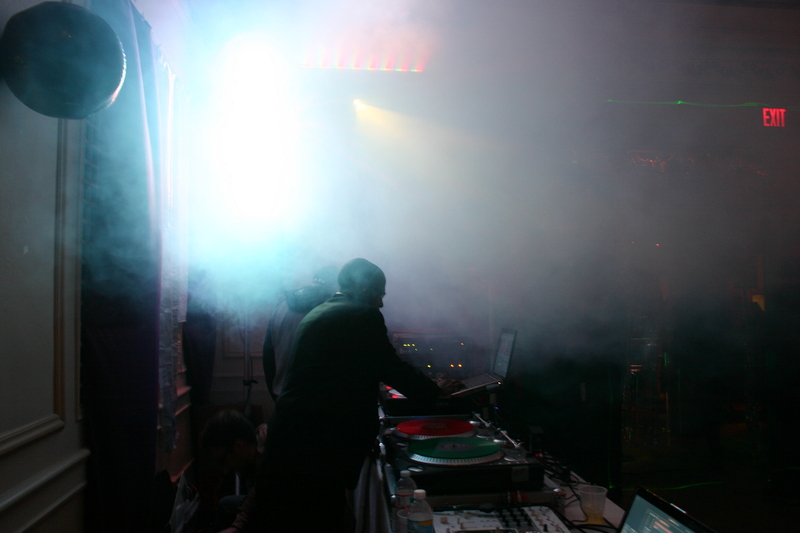 *To get an idea of what’s in store, check out photos from when Dirty Disco Kidz and Team Bayside High threw one hell of a Halloween party on State Street earlier this year. More visuals from this year’s Halloween celebrations are here! 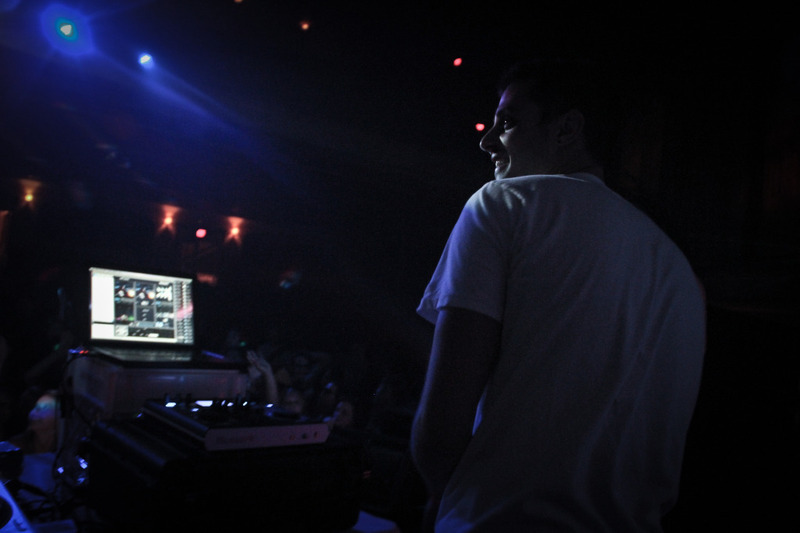 Joel Hager caught up with Dirty Disco Kidz, Team Bayside High, and Zooniversity at Nightmare on State Street 2. Check out his shots after the jump. Halloween is almost here, which means all you Madisonians are probably busy piecing the final bits of your epic costumes together in anticipation of this weekend’s reverie. We hope your holiday plans involve a trip downtown to see those wild and crazy gypsy punks in Gogol Bordello rock the Capitol Theater on Halloween night. Trust us, it’s going to be one hell of a party! But just because we’re hosting one of the fall’s most exciting events, it doesn’t mean that the rest of this week’s concerts are any less spectacular than usual! 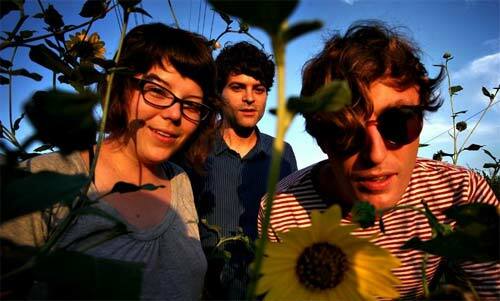 We’re talking about shows from great artists like Dar Williams, The Weepies, Nightmare On State Street (featuring Dirty Disco Kidz), The Dandy Warhols, Woven Bones (pictured), Oh No Oh My, and Pomegranates. Want to find out how you can win tickets to these fabulous concerts? Read on!